Mike Edie's Wheeliebinland – Living in The Fens between the wheelie bins. Living in The Fens between the wheelie bins. It just keeps getting better. Here is my new Pocket CHIP, a [large] pocket sized Linux SoC PC with exposed GPIU pins and a 5 hour battery. Basically a Raspberry Pi 1 with built in wifi and Bluetooth. It is … fantastic. Can’t put it down. The big day is here. The BMG Festival 2016. Wish us luck. it’s on the Apple App Store at last. It failed first time due to the iPad version looking a bit rough. So I only released the iPhone version and it got through. However my it appears if you download it on the iPad you still get the previous layout. I may fix this and also fix an issue where the icon says “number game”. But it’s out there. Download it for free and see. It’s a good game designed by my 7 year old son and written by me in one hour. Well I spent a good slice of the last couple of days installing Windows 10. Much smoother than I expected though it took a while. The delay was mostly due to backing up and various virus checky type things. On the whole it looks … pretty good. My PC seems a bit quicker to boot up but a bit slower to load up apps. It also seems a bit memory heavy, using up 2.5 of my 4Gbs. When I was installing things and virus checking it actually ran out of memory and needed rebooting – a first for Windows for me. Believe me, this “blue screen of death” that Mac users snarl on about is hog wash. I have a Mac and it crashes about once a month. I have had a blue screen in 2000 on a laptop when I pulled out the external monitor cable. ONCE. On the whole Apple hardware is top drawer but their user interface doesn’t give me thrills. Anyway, this Windows square table of images thing that came in with Widows 8 (which I didn’t have) I quite liked. Seems though people didn’t like Windows 8 and found it a bit of a dogs dinner. So far though Windows 10 looks good. All my Windows 7 stuff still works and I like the cleaner look. I can still find things. Currently I’m trying to get Windows 10 on my Raspberry Pi 2. This requires Windows 10 on your PC and Visual Studio. My first run of this was a failure. Seems they have the wrong URL to download the VS and it was a release candidate copy. All fine but it wouldn’t run the IoT plugin. What a pain? Tell me about it. It takes longer to uninstall than to install. (It is still going now). Still I’m curious to see what it will run on the RPi2. How will this improve on Rasbian? I suspect Windows 10 communication is the main USP. s there a GUI even? Not sure. It runs on Arduino so I suspect not. But I guess what Windows 10 is varies from device to device. So far I’m liking this business model. I quite like them having an App Store. Just as long as you don’t have to always go through it. Not quite sure why they have a Facebook app. It offers nothing more than the web page but of course will need updated every so often. I did download the Kindle app which will be useful. I don’t like that it decided my Hotmail account is now my login. So if that gets hacked someone can now get on my home PC. In truth I can feel the novelty wearing off already. It is nice tech but there is no killer app. Problem is a watch is good for an occasional glance – so ok for time and notifications – but not much else. To do anything requires two hands. One for the watch and another for the control button. Suddenly smartphones seem so much better. 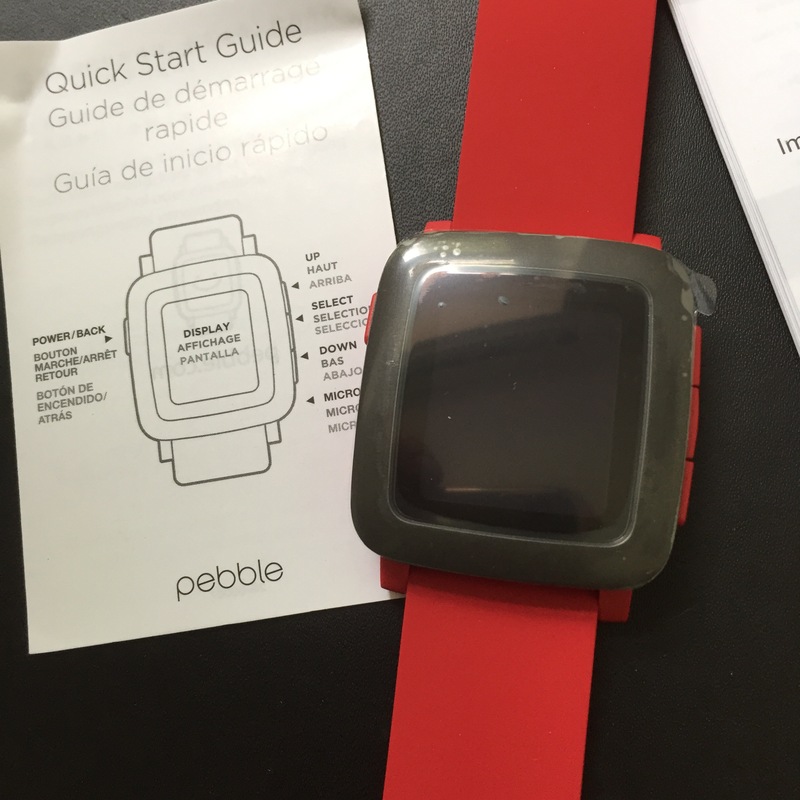 Still it is a good customisable watch which vibrates for alerts and alarms and is waterproof. Perhaps a swimming app? im developing a number of iOS apps whilst learning iOS on the hoof. Whilst doing this I managed to knock up a groovy number game for The Nipper in one hour. Fun enough to play on my own and the nipper plus friends like it. I’ll put it on the App Store for free when I work out how.